The ATO’s digital systems have again experienced outages and degraded performance at the beginning of the tax time period, but the ATO insists it has the capacity to deliver for self-lodgers this year. Yesterday afternoon, to resolve some technical issues, the ATO took down its portals, myTax, and other online services. This included the Tax Agent, Business and BAS Agent Portals, Standard Business Reporting (SBR), Australian Business Register (ABR) and its case management systems. The outages and degraded performance of the systems spanned for several hours. This is the latest in a long and continued history of outages and reduced performance of the ATO’s digital systems, the worst in recent history being the mass outage over the Christmas period. 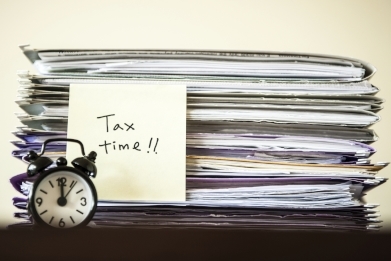 The ATO has come out swinging in defence of its systems today, saying the slip-up does not affect its ability to deliver, for taxpayers in particular, during this peak tax time. “The issue experienced [yesterday] does not relate to the ATO’s capability and capacity to deliver for tax time 2017. It is not related to recent hardware issues or our storage area network (SAN). No data has been lost and our systems were not compromised or subject to a cyber-attack,” the ATO said. “While an outage is not optimal, our decision [yesterday] to address our degraded system performance was to ensure they were fully operational for the 8.00-9.00pm window when we know the majority of people choose to lodge their tax returns,” the ATO said.